Injuries meant Banahan moved from wing to full-back and what a performance from him! Kept his head when things looked to be running away from them and his timings and runs helped Gloucester get the better of his old team Bath. May have been on the losing side, but scored a hat-trick and looked dangerous whenever he had the ball. A hat-trick as the Jaguares ran rampant againt the toothless Sharks. Scored twice in a highly entertaining game against the Chiefs. Nonu really showed his class and kept the Chiefs defence on their toes. Another hat-trick hero in our backline this week. Tore open the Sale defence and finished his tries very well indeed. Despite being a doubt for the game due to a groin injury, Cipriani produced a man of the match performance as he helped Gloucester to a derby win over Bath. Created plenty of time and space as the cherry-and-whites fought back for the win. Another eye-catching performance. Eddie is definitely right to not pick @DannyCipriani87 for @EnglandRugby..... said no one ever! 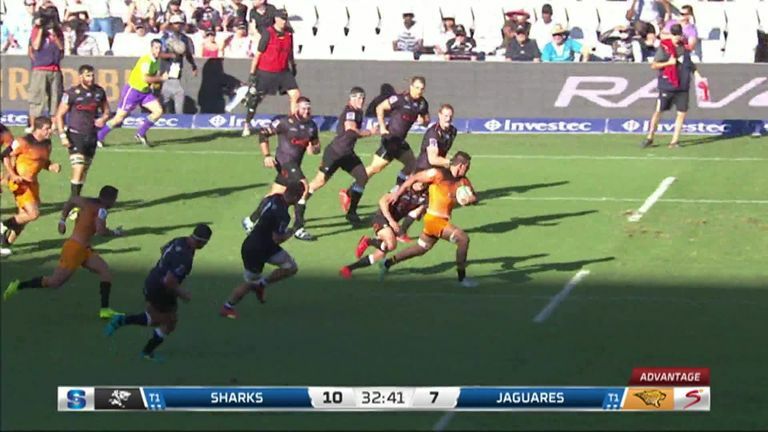 The Jaguares scored seven tries as they demolished the Sharks in Durban, winning 51-17. Caused havoc as the Jaguares demolished the Sharks. Kept the tempo high, always looking to attack around the edges and his decision making was spot-on. A strong day at the coal face for Tuinukuafe, who really did everything he could to give the Blues the advantage up front. Carried well too. Another big shift from Thacker, who was like a fourth backrower for the Bears. Was their go-to man for carries and beat seven defenders. Did the hard work at the rucks and mauls as well. A big scrummaging performance from Afoa who also loves to run with ball in hand - his line break set up Dan Thomas for his try. 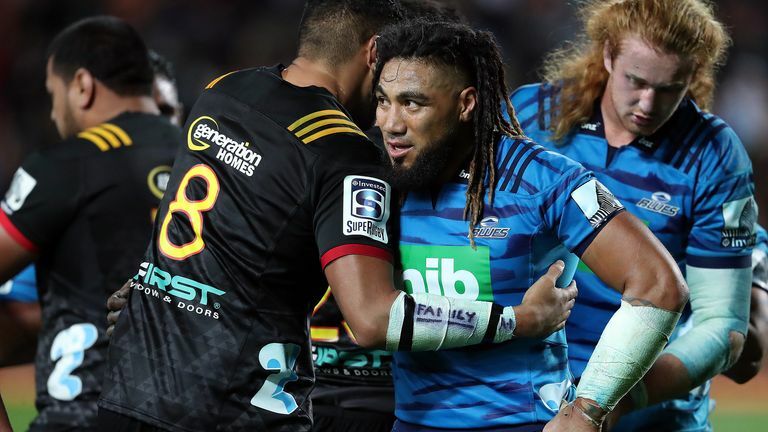 An incredible game in Hamilton saw the Chiefs edge the Blues. A classic encounter as we saw Super Rugby at its very best. If you think 19 tackles for a lock is good, wait until you read Gray's tackle stats. 43. That is 43 tackles made and not one missed! Pablo Matera was unlucky to miss out after his heroics against the Sharks, but Luatua was quite outstanding as the Bears saw off Saracens. He was everywhere - either tackling or putting in some major defence. Scored the first try and made sure his troops did not lose focus. Caused all sorts of problems for the Blues at the breakdown and scored twice as well. Leicester's Guy Thompson was a serious contender but Hughes had a huge impact on Wasps as they claimed their first ever win at Exeter. Consistently got them onto the front foot with some big runs and set-up Juan de Jongh's try with a great break. Made 19 tackles as well.